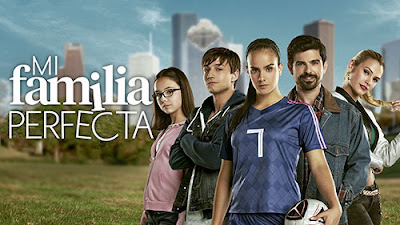 Read what will be showing on the telenovela My Perfect Family about the five Guerreros siblings in pursuit of the American Dream this May on Telemundo. Reynaldo goes to the hospital to talk to José María. Erika makes it clear to her mother that she loves Patas. Santiago invites Marisol to go sailing. Rosa is upset after learning that Miguel Ángel is married. Santiago’s team wins the championship. José María and Erika are discharged from hospital. Julián and Eddie rob Santiago’s parents’ house. Rosa makes it clear to Miguel Ángel that she cannot continue dating a married man. Andrea offers to help Marisol get a scholarship at another club. Meanwhile, Santiago confesses to his father that he is in love with Marisol. Megan tries to comfort Genesis, and they end up kissing. José Maria arrives at Erika’s house and asks if he can stay with her for the night. Irma takes Lili to see Danielito, while Genesis tells Marisol that she has feelings for Megan. Miguel Ángel’s new company loses money. José Maria is offended when Erika wants to pay for dinner. Meanwhile, Lili steals a bag of toys to give to Danielito, and Irma scolds her. Erika receives a bouquet of flowers from an ex boyfriend. Rosa continues to deny her affair with Miguel Ángel. Lili gets into a fight at school. Erika and José María go to Kansas to retrieve Maddox from Ashley, who has relapsed into drug abuse. Dakota calls Ashley to ask her for money. Amparo shows the video of Miguel Ángel and Rosa to Santiago, who then shows it to Marisol. Meanwhile, Guillermo goes to see Erika in her office. Irma is forced to reveal to her children that they have another little brother, Danielito. Santiago confronts his father about his affair with Rosa. Eddy is shot in the leg while fleeing from the police. 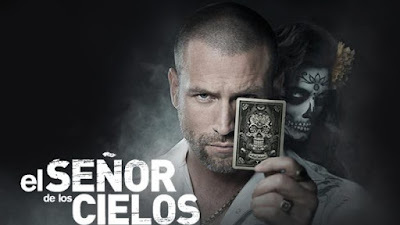 Ashley plans to take Maddox back and get revenge on José María. Daniel comforts Irma. Erika and Patas invite Guillermo and Alma to go dancing with them. Santiago tries to comfort his mother, and offers to stay with her for a few days. Camila asks Megan and Genesis what is going on between them. Andrea sees Marisol and Santiago kissing, and forces Marisol to resign from the club. Guillermo asks Andrea to give Patas a job as a personal favour. Marisol ends her relationship with Santiago. Camila goes to a hotel to meet a client. Santiago attends Marisol’s graduation. Miguel Ángel reacts negatively when Rosa tells him that she’s pregnant, leaving Rosa confused. Rosa realises that Vicente could be the father of her baby. Meanwhile, Miguel Ángel returns to Amparo’s house and asks her to take him back. José María makes his case to the judge for obtaining custody of Maddox. Meanwhile, Rosa asks Camila to help her find an abortion clinic. Marisol is upset after Eddy kisses her. Irma begins to suspect that Rosa is pregnant. Erika asks Guillermo to leave her and José María alone. Dakota pressures Ashley and TJ to find employment. Julian tells Marisol that she is worried about Lili. Alma testifies against the Guerrero family. When TJ is called to testify in the custody trial, she tries to remain impartial. Marisol’s teammates ask the board of directors to reinstate her. Camila insists that Rosa must tell Vicente about her pregnancy, but she refuses. Ashley develops a drinking problem. Andrea threatens Marisol. Rafael encourages Eddy to take a few steps using crutches. Erika is fired from the youth centre, and has her social worker license revoked.